Subway has filed a defamation lawsuit against the CBC alleging reports about the sandwich chain's chicken have caused it to suffer significant sales losses. Subway is seeking $210 million in damages. Subway has filed a $210 million defamation lawsuit against the CBC alleging reports about the sandwich chain's chicken have caused it to suffer significant sales losses. In a statement of claim filed with a Toronto court earlier this month, Subway takes issue with television and online reports as well as tweets published by the broadcaster, which it alleges were meant to discredit the company and its products. 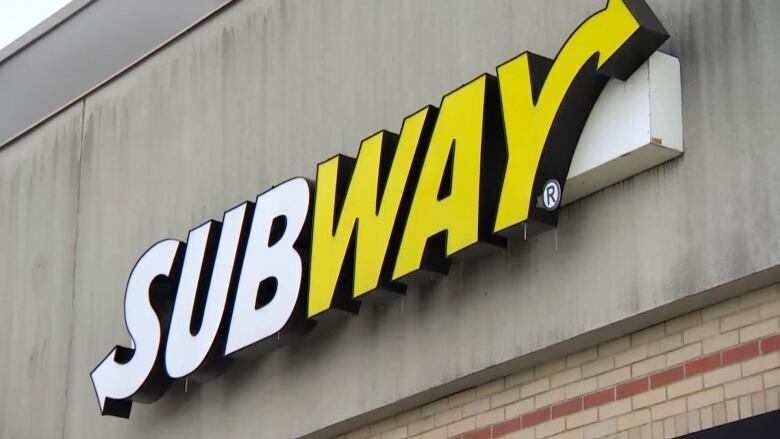 Subway alleges the CBC acted "recklessly and maliciously" in airing a Marketplace report in February that said DNA tests suggested some chicken products served by the chain could contain only 50 per cent chicken or less. The company further alleges the tests conducted on the chicken "lacked scientific rigour," were conducted without appropriate methods by people without proper training and then interpreted by people who also lacked training. "These false statements ... were published and republished, maliciously and without just cause or excuse, to a global audience, which has resulted in pecuniary loss to the plaintiffs," the claim says. Subway alleges its reputation and brand have taken a hit as a result of the CBC reports. It is also seeking recovery of out-of-pocket expenses it says were incurred as part of efforts to mitigate its losses. None of the allegations made by the fast food chain have been proven in court and the CBC says it will defend itself against the lawsuit, which also names as defendants the reporter and two producers who worked on the program. CBC's Marketplace reported that DNA test results showed high levels of soy DNA in Subway's chicken products, suggesting potentially high levels of soy content in the meat. The TV report was followed by an online story and several tweets that included similar content. Subway reacted angrily after the report aired, calling it false and misleading. The company said at the time its own analysis found only trace amounts of soy in its chicken. The CBC has said it stands by its reports, noting the DNA tests were done by independent and credible experts. The lawsuit alleges the reports unfairly painted Subway as resorting to misleading business practices and cheap ingredients at the expense of Canadian consumers. The CBC has not yet filed a statement of defence.